The balmy days of summer are right around the corner, which means weekends relaxing on the patio, trips to the park with the kids, and plenty of nights about town. And as your wingtip boots make their way to the back of the closet (or maybe not? 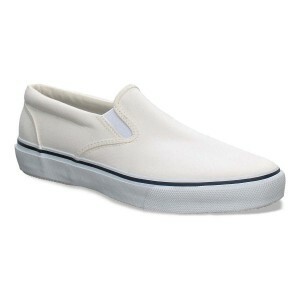 ), boat shoes, loafers, and sneakers take center stage for weekends and weekdays alike. 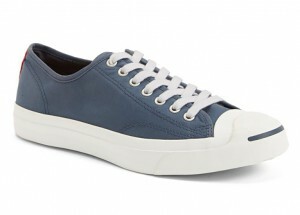 And while we love a good loafer, the lean silhouettes and casual swagger of a low top sneaker are hard to beat. 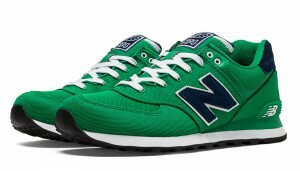 This spring, look for one or two pairs that can navigate from the office to the boardwalk to the bar, and potentially a sporty runner (like casual Nikes or New Balance) for everything else. 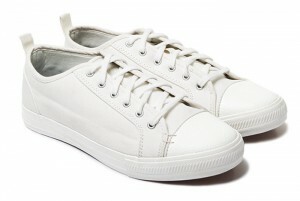 Canvas sneakers let your feet breathe in the heat and are the quintessential, casual summer shoe. The only downside is that they’re also magnets for a wayward coffee or ketchup stain, so just make sure you take care of things right away. Spray them straight out of the box with some shoe protector. If anything should, happen, touch them up with a Jason Markk quick wipe. Some laundry detergent or dish soap will do in a pinch, as well. Either way, canvas sneakers are generally inexpensive (under $80), so wearing them out over the next four months won’t break the bank. 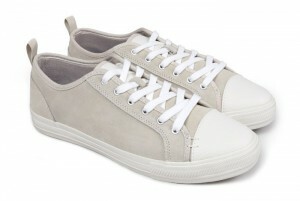 Leather and suede sneakers are generally a little more spendy than their canvas counterparts, but your extra cash gives you a sneaker that’s office or casual summer wedding appropriate. With that said, you want your investment to last, so spray them with some suede cleaner right away and avoid wearing them to the park for a pickup game of soccer. 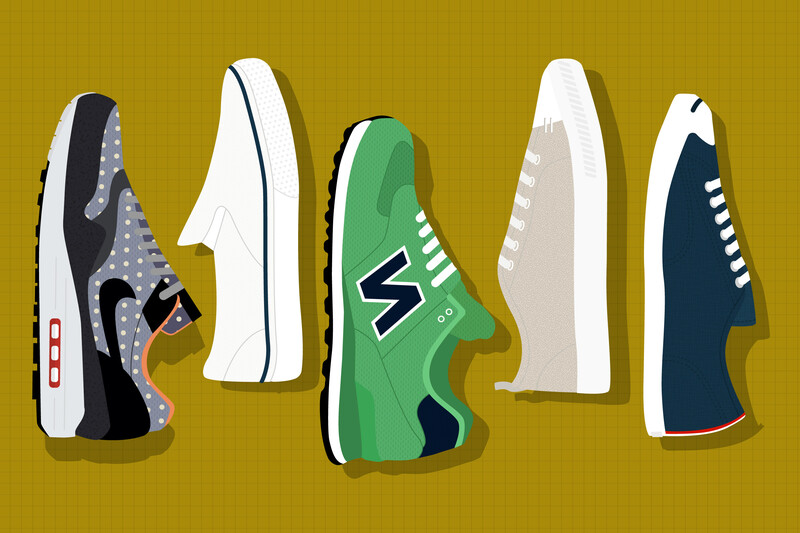 Over the past several years, runners have taken stride into the closets of sneakerheads and menswear enthusiasts alike. 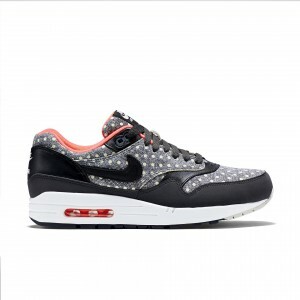 Just don’t wear them with loose khakis and a tucked in polo (the preferred outfit of nerdy IT guys the world over). Paired with shorts and joggers, these casual kicks are as ready for a coffee run as they are an impromptu game of hoops (thanks Google HQ).